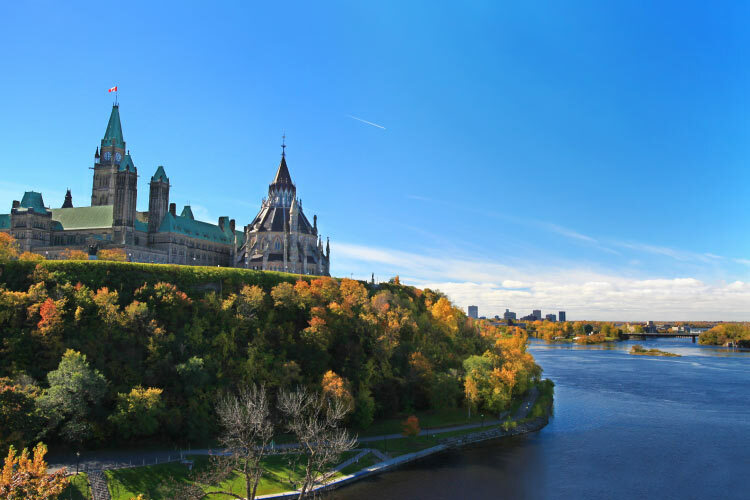 Accessible via the Toronto Pearson International Airport, Vancouver International Airport, the Ottawa Macdonald-Cartier International Airport (which is outside its capital, Ottawa), or several other airports, the large country of Canada attracts travelers interested in culture and nature. Travel in Canada often costs between $50-75 per day, depending on the region of travel. Summer is Canada’s peak travel season, as temperatures fall between 15˚C and 30˚C (60-85˚F). Winters get quite cold, often well below freezing. Hockey paraphernalia, handmade crafts, or even maple syrup are the stereotypical Canadian souvenirs. Consisting of ten provinces and three territories distributed across the northern third of North America, Canada currently enjoys the second largest land area of any country. Due to Canada’s extreme northern latitude, harsh winters, and proximity to the United States, almost all of Canada’s major cities are in the southern half of the country. 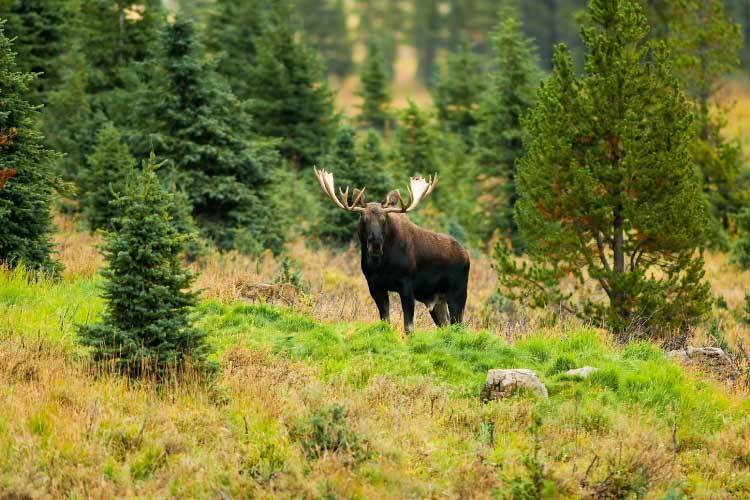 Much of Canada’s northern lands are vacant, which has actually helped Canada become one of the top extreme ecotourist destinations in the world. Numerous explorers trek through Canada’s wilderness each year to access beautiful scenic vistas only visited by a handful of travelers beforehand. Canada’s first residents were aboriginal peoples, most famously the Inuit peoples. The Inuit, along with the Yupik and Iñupiat peoples, are colloquially known as “Eskimos,” though the descendants of these ancient peoples often prefer to be referred to by their specific heritage. Today, most aboriginal Canadians can be found in small communities dotting northern Canada. Meanwhile, the descendants of the European settlers that reached Canada during the 1500s typically live in the south. Like most of North America, several European powers competed for land in Canada, namely France and Great Britain. However, neither of these two powers ever fully expelled the other, and Canada ultimately adopted traditions from both heritages when it began to assert its independence in 1867. Today, most of Canada speaks English, excepts for the French-speaking province of Quebec and a handful of smaller communities. To get the full Canadian travel experience, be sure to explore both the English and French portions of the country, as their day-to-day customs can vary considerably. Due to its ties with the European colonial powers, wealth of natural resources, and industrious peoples, Canada has become the tenth wealthiest country in the world. Its ultramodern cities and infrastructure are on par with Europe, Australia, Japan, and other first world regions. For this reason, tourism in Canada is quite widespread, generating almost $20 billion per year for the country. This also makes it one of the easiest countries to travel in, making it a great start for beginner travelers. 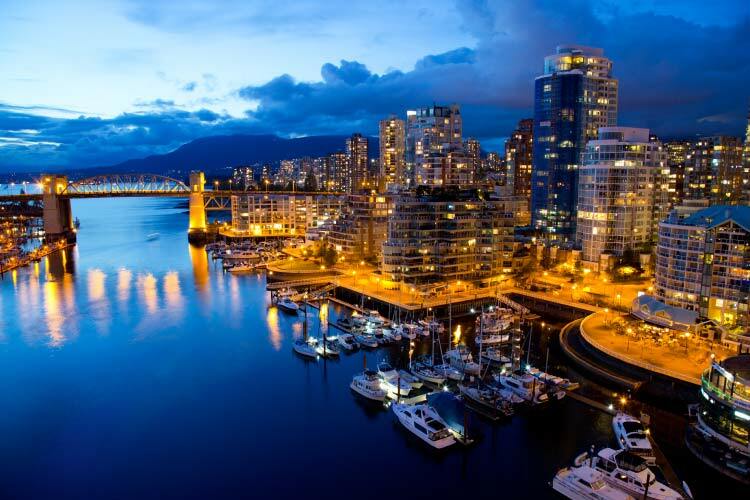 As Western Canada’s largest city, Vancouver plays an important role in the country’s economic and cultural development. The city also enjoyed worldwide attention as the host of the 2010 Winter Olympics, as well as being the indefinite host for the extremely popular TED talk series. Vancouver is well known for its arts and music scenes, and many tourists enjoy catching local bands perform or spending an afternoon wandering the halls of the Vancouver Art Gallery. Interestingly, one of the city’s top attractions is actually the Dr. Sun Yat-Sen Classical Chinese Garden, an intricate Oriental themed city garden named by National Geographic as the “world’s top city garden.” Finally, a trip to Vancouver would be incomplete without visiting the surrounding countryside. Designated a “temperate rainforest”, the lush forest surrounding the city is both extremely beautiful and very rare. Seeing as Toronto is Canada’s most populous city, it’s hardly surprising that this coastal city has lots to offer tourists. 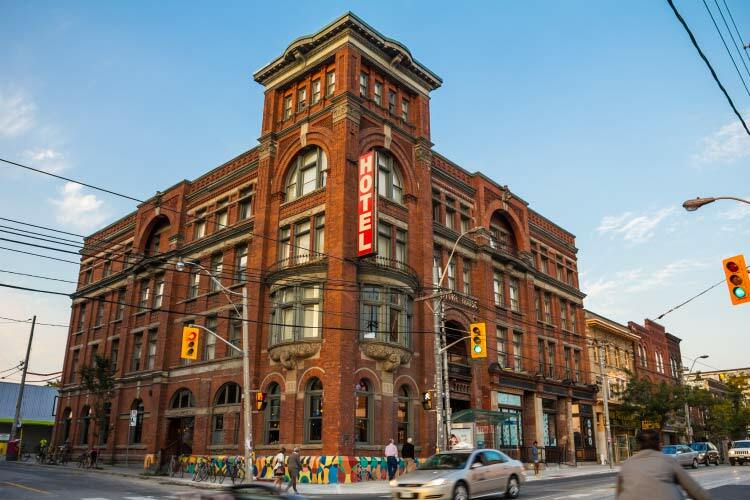 The CN Tower, Hockey Hall of Fame, Royal Ontario Museum, and Casa Loma are the most iconic destinations in the city, but to really experience the culture of modern day Toronto, head over to the West Queen West neighbourhood. This artsy neighbourhood is filled to the brim with cafes, art venues, and a variety of other oddities. The gorgeous Toronto Islands are expected to step up as another major tourist destination with the completion of an underwater pedestrian tunnel, scheduled for completion in 2015. Often considered the capital of French Canada, Montreal presents the perfect blend of traditional European design and modern architecture. 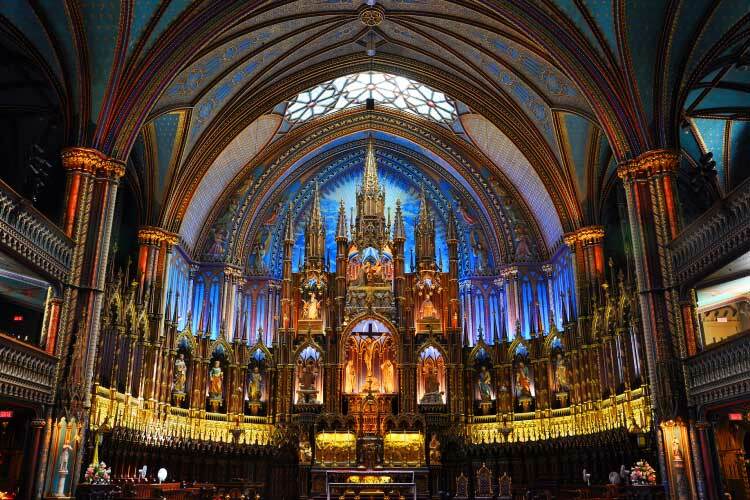 The Basilica Notre-Dame is the city’s most famous attraction and is located along Place d’Armes, a renovated section of Old Montreal with numerous historical sites. Montreal’s nightlife also deserves mention, as its numerous nightclubs and bars attract numerous locals and travelers. 1. Take a stroll down Halifax’s waterfront to experience the best of the city’s historical and cultural wonders. Nearby Pier 21 is the Canadian version of Elliston Island, the centre point of Canadian immigration and home to a great museum. Then, climb Citadel Hill to both explore Fort George and see a stunning view of the harbour. Wind down with a walk through one of the city’s many gardens. 2. Place d’Armes holds most of Montreal’s famous historical sites, but an afternoon can also be spent enjoying a glass of wine at one of the numerous cafe’s in the surrounding blocks. Don’t drink too much, however, or it’ll be difficult to enjoy ice skating at one of Montreal’s many free ice rinks. During the winter, many of the parks also offer cross country skiing. 3. Ice skate in the world’s largest outdoor rink, Ottawa’s Rideau Canal, and browse the wares of vendors set up directly on the ice. Next, walk, bike, or cross-country ski through the city’s extensive trail system to get to one of the city’s famous movie theatres. Be sure to see Parliament Hill, the home of Canada’s national government, and the Museum of Civilization, the most visited museum in the country. 4. Winnipeg’s numerous parks and its zoo are worth a visit for the natural-minded traveler, while others may better spend their time at one of the city’s numerous performance theatres, most notably the Theatre in the Cemetery. Then, explore the Oak Hammock Marsh Interpretive Centre, an interactive environmental attraction with hiking, canoeing, and a great deal of wildlife sightings. 5. Considered the gateway to the Canadian Rockies, Calgary draws visitors interested in large amusement park, large manmade reservoir, and the surrounding countryside. The city’s hockey team, the Calgary Flames, enjoy immense popularity, and if possible travelers are highly encouraged to catch one of their matches. 6. In stark contrast to its numerous parks and swatches of wilderness, Edmonton also holds North America’s largest shopping mall, the West Edmonton Mall. Central Edmonton is the city’s most historic area, and sits close to the charming neighbourhood of Little Italy. 7. Yellowknife is the capital of the Northwest Territories, and thus mostly offers natural activities like skiing, hiking, hunting, fishing and boating. 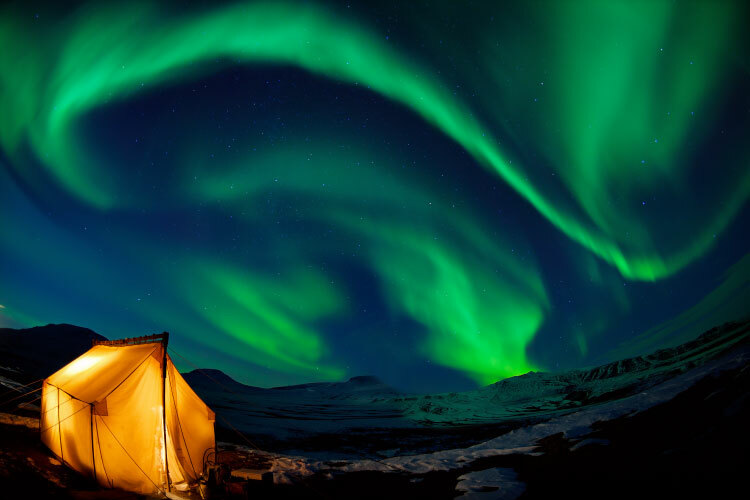 Furthermore, visitors can take dog sled tours through the countryside, or even see the breathtaking northern lights (properly called the Aurora Borealis). Local sporting events are also popular, especially hockey and curling.